Zanzibar, the spice islands Archipelago, Unguja, Pemba and Mafia, is in the Indian Ocean, 50km off the Eastern coast of Tanzania. Northern tip of Zanzibar island, 1.5 hours by car from Kisani International Airport (ZNZ). The island of Unguja, commonly named Zanzibar, is an amazing and beautiful place from a preserved nature point of view and was for centuries at the crossroads of trading routes between Europe, Africa and the South-East Asia, which gives her unique cultural points of interest. Design by Jestico & Whiles from London, sustainable use of materials, an African chic & style feel, slow-food wine & dine, layback and barefoot dress-code. 55 exclusive and free-standing villa’s, restaurants and bars, 300 meters of private, pristine beach, a lush spice garden, and gorgeous African sunsets. Luxury hotel development by a stable and leading international investment house from Europe seeking to grow its investment portfolio of luxury and unique independent hotels, supported by Owner managed central services. As a Purchasing Manager you will be responsible for sourcing equipment, goods and services and managing vendors. To perform strategic procurement activities across multiple categories of spend, search for better deals and find more profitable suppliers. Culinary school diploma or degree in food service management or related field. Proven working experience in 5-star hotels as a Purchasing Manager, more than 3-5 years of experience in this position. Experience in Tanzania and/or East Africa and Preopening would be a big plus. Up to date with food and beverages trends and best practices. Experienced in sourcing and implementation of vendor software. Working knowledge of various computer software programs (MS Office, vendor software, restaurant management software – POS). Well trained in setting up material control, and liasing with cost controlling. Competence to build and effectively manage interpersonal relationships at all levels of the company (also labour unions), and to make effective and arguable descisions (a team of 200 to 250 people). Experienced in performance management applying USALI, very patient & able to train and supervise the staff within their department, and essentialy being meticulous and precise. Enjoy a lasting, unique and memorable life experience, and mark your career by being part of Africa’s leading hotel development project. 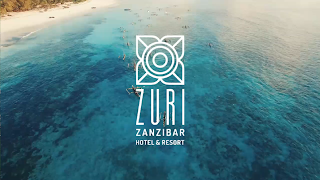 Opportunity for balanced personal and career growth, both with the Zuri Zanzibar Hotel & Resort and new hospitality projects being developed in Europe by the Owning Company. Excellent package including a great salary, private accommodation, full board, visa, work permit, all insurances incl. repatriation insurance, on-site medical service, annual holiday entitlement (25 working days per year) with flight tickets. Please click on the below link and follow the instructions how to apply. We will send you an automatic acknowledgement of receipt. Once shortlisted, we will invite you for a video call interview, to get to know you and see how we can help you, either for this opportunity or a next opportunity. Further steps are an assessment interview (on-line), and finally a direct interview with the employer (either via video call) or in person. Should you not hear from us within the next 14 days we regret that your application has been unsuccessful. Please be assured of our commitment to confidentiality, and considering your application with the same care and attention you have put into. We offer a recruitment service exclusively serving independent hotels and restaurants which are operated by Ownership as a free-standing business, possibly with a private label in case of more units than one, also supported through a marketing platform such as Leading or Preferred Hotels, Relais & Chateaux and SLH.